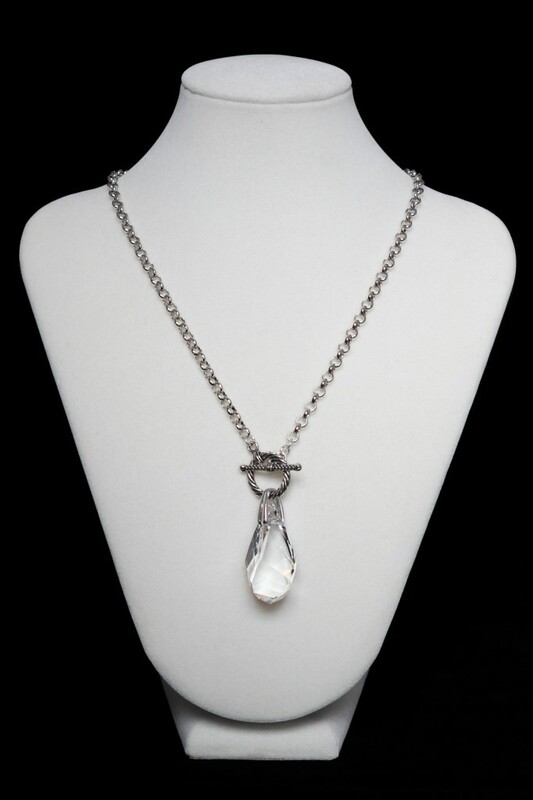 This piece is handcrafted with a light grey shade Swarovksi Crystal and platinum tone rollo chain. 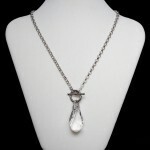 Clean and classic necklace suitable for any event. Length: 19"